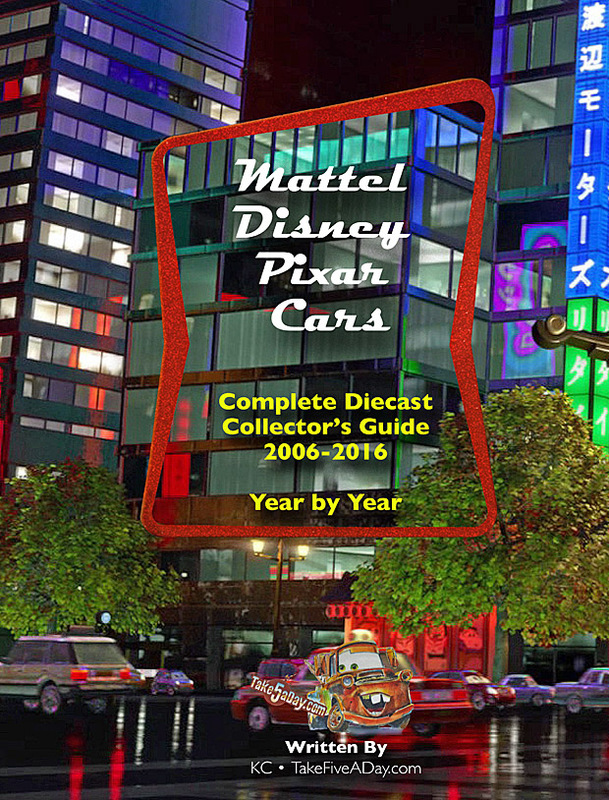 10 YEARS – The Year by Year 2006 to 2016 Checklist is COMPLETE! 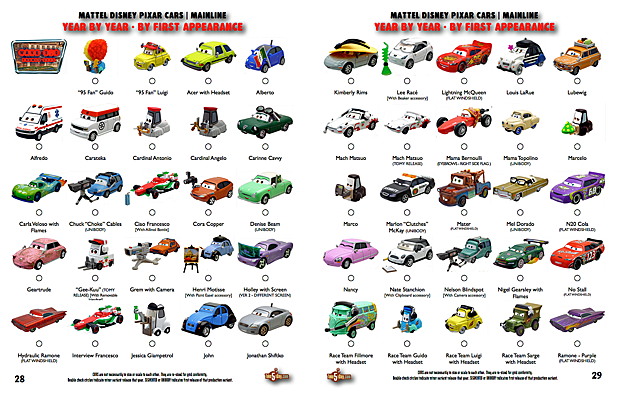 Starting with 28 in 2006, we closed out 10 years of CARS, CARS 2, Toons, Storytellers, Expanded Universe and Disney Store (in scale only) releases of close to 1,200 diecasts. Typical page. 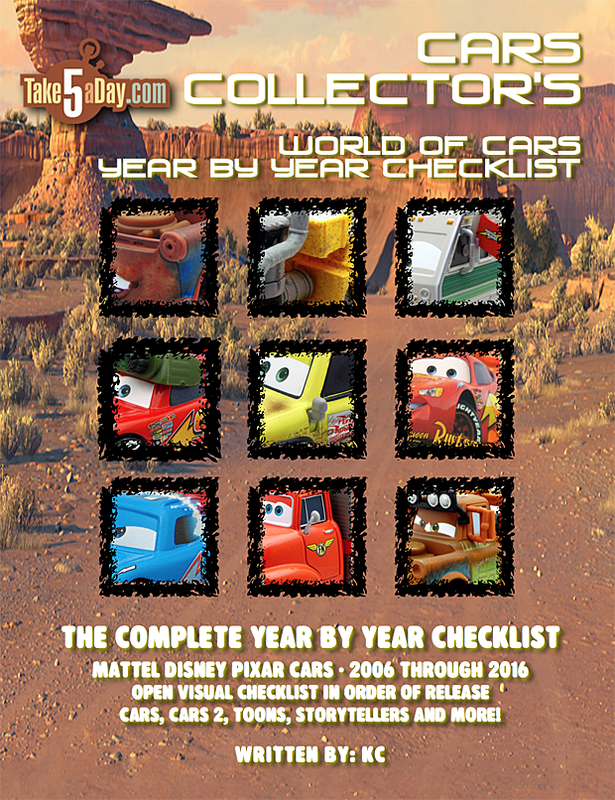 You can click and get a preview of the entire checklist magazine. A version with the EXACT SAME INFORMATION will be available on Amazon & Amazon’s CreateSpace. I redesigned the cover to avoid confusion between the two versions – the text is larger in the “book” version and it’s also a heavier stock glossy cover so it’s more book like than a magazine stock of the version at the top. It does cost $5 more – mostly I did it so people could find it while searching at Amazon and for Prime Members, you can save a few dollars on shipping … While CreateSpace is part of Amazon, I believe there is a shipping cost – but in any case, thanks for your continual support of TakeFive! Thanks! Enjoy! 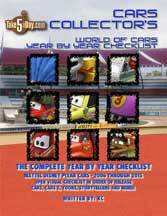 And the 10th Anniversary EVERYTHING OVERALL CHECKLIST in ALPHABETICAL ORDER is coming soon! Desert Singles to Supercharged, etc. Can’t wait for the overall 10 year alphabetical (book?) version!! !